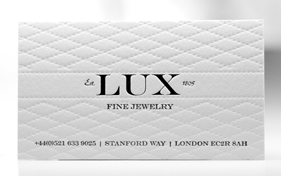 Business card printing is the iconic symbol of marketing collateral. Regardless of the size, shape, color, or feel - business cards have always demonstrated a credible point of contact and an information keep-sake. Printed business cards have served the same purpose for hundreds of years and in almost every civilized culture. Prior to the internet, business card printing had been the key component of business to business networking and marketplace interaction. Although print has been considered dying with the rise of the internet, “business cards” hasn't been effected. On the contrary, more companies and individuals alike order business card printing on a yearly basis. Nothing speaks more powerful than a well designed, specialty business card. Taste of Ink innovated the printing of business cards with their print departments promise to try and print anything designed. The critically acclaimed TOI Design Agency is a pioneer to business card printing and design. By pushing the print elements to new levels within each business card design, the industry has evolved. Over the years, four incredible Taste of Ink Cards were pushed to the forefront – Cotton Cards, Suede Cards, Silk Cards, and Plastic Cards. These cards are daily customized in every form and fashion with decorative color foils, spot gloss highlights, debossing, and the list goes on. The options are practically endless and the result incredible. Each final piece is a work of art. Printing Taste of Ink Cards is different and unique for every card. The four Taste of Ink Card types have their own texture, style, thickness, and many optional upgrades. Cotton Cards are 100% cotton (renewable resource). The business card printing is produced manually with a classic and traditional printing press. The cotton stock is dense, thick, and soft. This provides for durability, an impressionable stock for embossing and debossing, and incredible die cuts. There are multiple print upgrades that can be integrated within the cotton card. Printing Suede Cards are produced on thick synthetic suede that feels incredible to the touch. It has been claimed by many people as the “fashion business card”. Incredible patterns is stamped into the suede stock with color decorative foils. 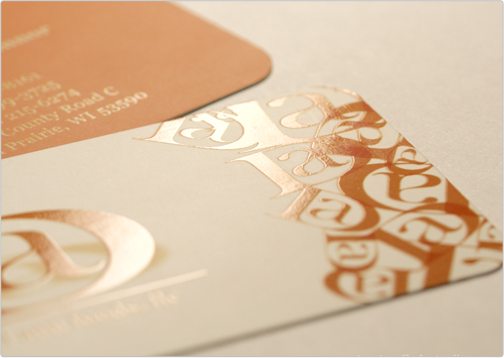 Taste of Ink can also emboss on suede cards during the business card printing process. Die cutting, also known as custom shaped business cards. A business card press can range from the better portion of a two story warehouse room to a small 6'x4' Gutenberg letterpress. Each press serves a different purpose, provides slower or faster production times, and offers high and low qualities. What is the best type of printing and how can you tell? We are in the second decade of the 2000's. Technology at this point is quite advanced and with that, printing business cards has been taken to new heights. 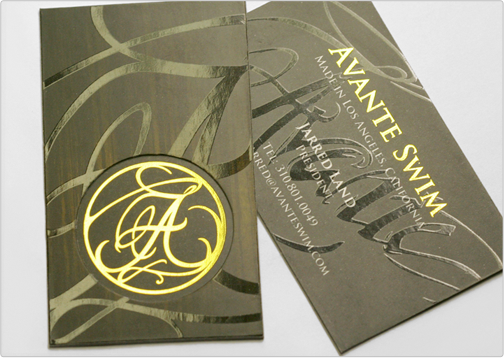 Taste of Ink Studios is every day perfecting the craft of specialty business card printing. A customer can print their own artwork, work with a TOI designer, or select a business card template. The fun part is, it is all about fashion and style when printing a business card. What is right for your company image? That is the question important to ask yourself. Find examples and select your style by visiting the TOI Design Agency portfolio.